Samford University’s final Davis Architects Guest Artist Series performance of the season will feature the Brentano String Quartet March 24. The 7:30 p.m. performance will be in Samford’s Brock Recital Hall. The performance is cosponsored by Samford’s School of the Arts and the Birmingham Chamber Music Society. Tickets range from $10-$25 and are available online or by calling the Samford box office at 205-726-2853. Box office hours are 9 a.m.-5 p.m. Monday through Friday. Since its inception in 1992, the Brentano String Quartet has appeared throughout the world to popular and critical acclaim. Described as "passionate, uninhibited and spellbinding," the quartet has garnered many awards and has been invited to be inaugural members of Chamber Music Society Two. The Brentano Quartet has a strong interest in both very old and very new music. 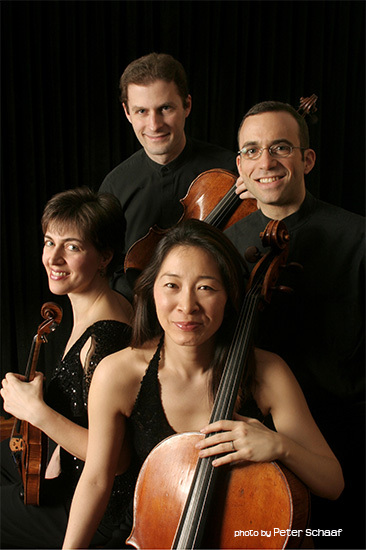 Widely traveled throughout the United States, Canada, Europe, Japan and Australia, they've performed in some of the world's most prestigious venues and are now Resident String Quartet at Yale School of Music.